The hottest topic in tech right now is, of course, the new releases from information giant Google. At its recent Made by Google event, the company waded deeper into the world of IT hardware with 5 new releases that are expected to endear users to a Google ecosystem that has hardware and software made by Google for Google. 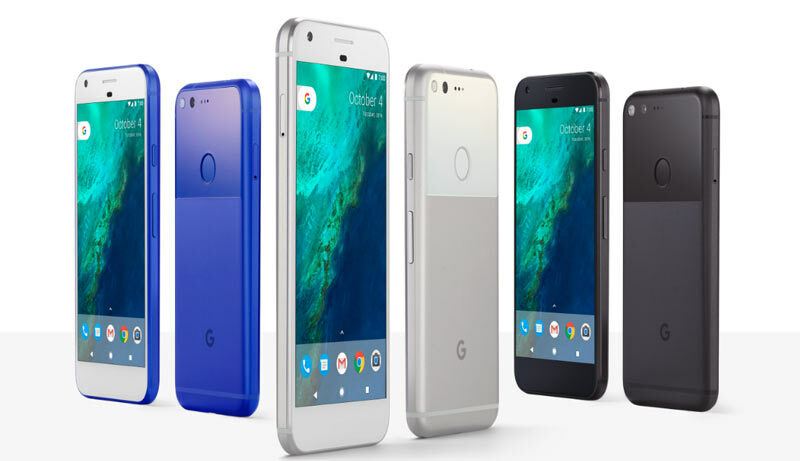 To give consumers a true Android experience Google has said goodbye to the Nexus brand and introduced Google Pixel, a high-end smartphone built by HTC that comes in two versions Pixel (5 inch 1080p display) and Pixel XL (5.5-inch Quad HD). It comes with a built-in Google Assistant and Google Duo, runs on Snapdragon 821 processor and has Android 7.1 Nougat with support for Google’s VR platform. It has unlimited Google Photos backup for all pictures and video. Google has laid claims to the best mobile phone camera on this device, citing the highest rating on DxOMark. It has optical image stabilisation, a 12.3 MP resolution and a f/2.0 aperture. The Pixel and Pixel XL are packing a 2770mAh and 3450mAh battery respectively. All this starts at $649 for the Pixel and $769 for the Pixel XL (these are the 32GB versions). This is Google’s virtual reality (VR) headset that uses its new phones as well as other devices that will be compatible with its VR platform. It essentially works like the familiar Samsung Gear VR headset (slot in your phone at the front and it will sync with the headset) but has been differentiated with a different micro fibre material to give it a wearable look and snug feel, a compact controller that’s equipped with motion sensors and a trackpad, plus a $79 price tag. This is a connected WiFi system for that is designed to extend the coverage of WiFi in the home or basically any other similar space. 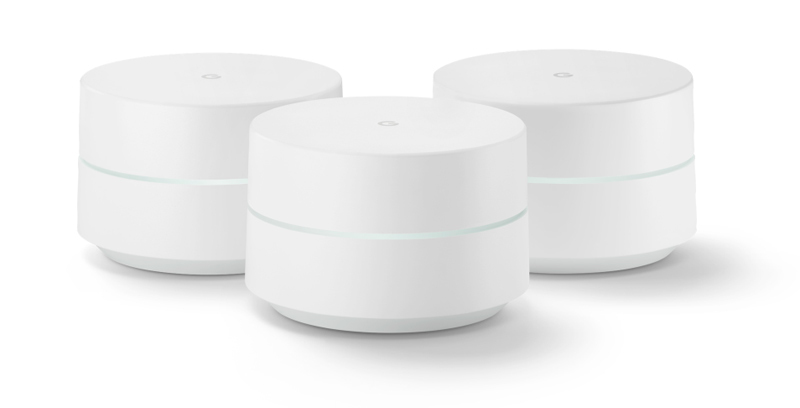 This mesh network is delivered through a small router that can be bought just as a single unit ($129) or as bunch (pack of three for $299) that will switch up the signal from your modem and give every user a better internet experience. It also comes with a supporting app that gives you control over the routers. This is an upgrade on the existing Chromecast – an HDMI port plug-in streaming device that helps you seamlessly turn internet video like YouTube into a TV experience. This new version is going to deliver 4K imaging, HDR quality and Dolby Vision. At $69 that’s something for anyone who’s opened their eyes to the awesome quality of 4K television. If you’ve heard of Amazon’s Echo that works with an Alexa command then this is basically the same thing. It’s a smart speaker that sits in your home or office and reacts to voice commands (triggered with the all familiar Ok, Google) to deliver a string of services like playing specific songs, running through your itinerary, relaying a recipe, playing shows on your TV, giving you directions and answering some questions. Google has brought the heat with its knowledge graph that makes it smarter than the competition and Google Assistant that makes it seem like it’s a young speaker version of J.A.R.V.I.S. One thing is clear – all these devices aren’t new. Google is entering sub-industries that have been dominated by some very innovative companies yet it’s trying to come out ahead as a company that’s not just playing the copy-paste game. Its secret sauce that’s underpinning these devices and their evolution is Google Assistant. That’s the Artificial Intelligence powered digital assistant that’s powering Allo, Google Home and has been integrated into Pixel devices. 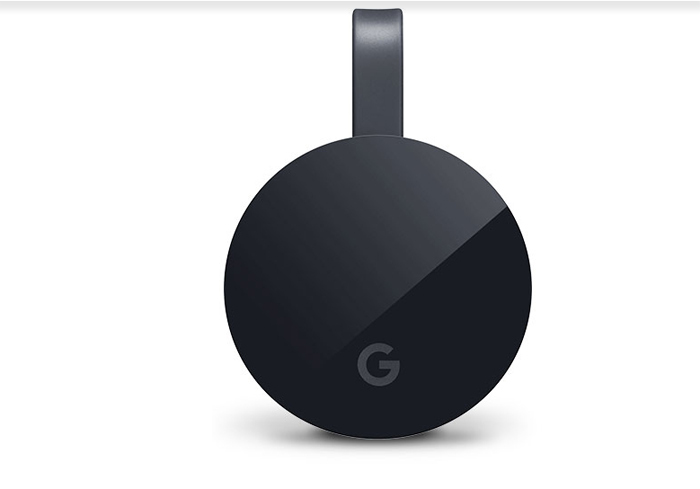 It’s also set to play a huge part in how that seamless integration with products like Chromecast Ultra happens. Google has commoditised artificial intelligence and it’s turning it into a core feature of everyday products and services, not just a geek feature that’s great as a party trick. It’s likely that the next round of innovation from the big and serious players in tech will have the same approach as AI changes how we do everything from online transactions to work tasks. For now, though, it’s advantage Google.